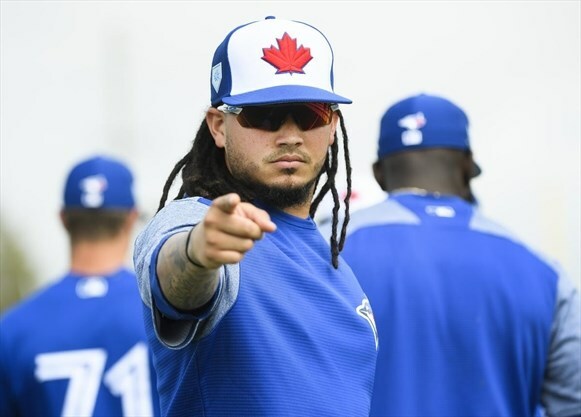 After a suboptimal start to the 2019 season, the Blue Jays were back at it, looking to even their record. There were reasons for concern and reasons to have hope. Marcus Stroman had a solid start with seven strong shutout innings. He struck out the side in the 5th inning and retired the side in order in the 3rd. Stroman needs to control his emotions a bit better, as he is prone to getting too jacked up, leading to overthrowing the ball. I still believe he has the arsenal to throw a perfect game in the future. The bad from yesterday's loss was the Blue Jays had just three base runners and no one advanced past 1st base. In fact, one of the two hits never left the infield. The Blue Jays did a good job at making contact, as they only struck out 7 times. Today, the Blue Jays faced ex-prospect Matt Boyd, who was 1-1 with 13 innings, 10 hits, 7 runs (all earned), 4 walks and 10 strikeouts in two starts vs. Toronto last season. The Blue Jays countered with free agent signing Matt Shoemaker. Who won the battle of the Matt's? Could the Blue Jays score their first run of the season? Here is today's game recap. Teoscar Hernandez misplayed one ball today, but was otherwise solid. A great bounce-back game after a lackluster performance opening day. Up next, the opening 4 game series continues with Aaron Sanchez pitching for the first time this season. Health has been a major concern for Sanchez. Hopefully the injuries are behind him.The Tigers will counter with Springer Turnbull, who is reported to have nasty stuff and a good hard fastball. None of the Blue Jays have ever faced the Tigers prospect.